We’re starting a new series, reviewing books that we think are worth taking a look at. 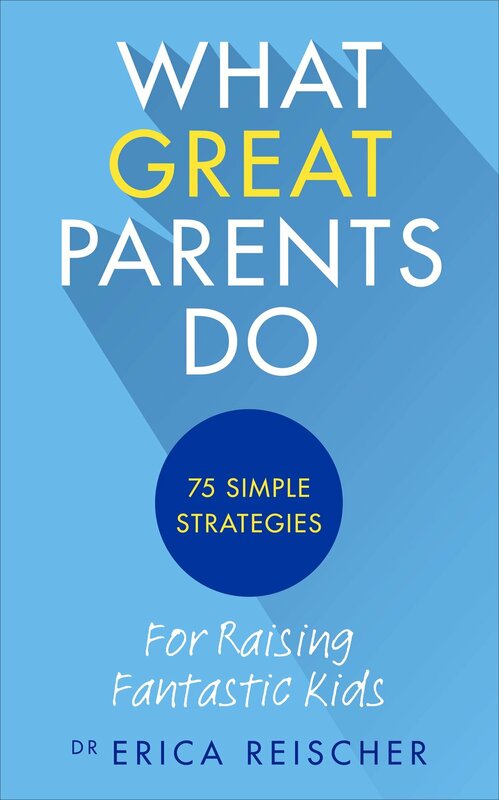 First up, “What Great Parents Do” by Erica Reischer. I was actually surprised by how much I liked this book. I first picked it up from the library shelf with a kind of disdainful curiosity based on the title, but I soon discovered that Erica Reischer was not, as I’d thought, contributing to the culture of pressure to be a ‘perfect parent’ (Tip #12 “Great Parents aren’t perfect”) but instead offering a framework for cultivating a respectful and joyful relationship with your children. The book is designed as a practical manual- it’s very readable, concise and clear. Each of the 75 tips is numbered and briefly described, then followed by a suggestion of how to implement it. Other related strategies are then cross-referenced. It makes it extremely easy to dip in and get some instant support or inspiration without having to wade through long chapters or lots of details. Overall the guidance is sound, research-based and feels do-able. The heart of the philosophy guiding the book is the importance of cultivating “non-judgemental awareness- of yourself, of others (such as your family), and of the moment”. The key principles are Acceptance, Boundaries and Consistency. The tips outlined are tangible ways of putting all this into practice. The tips themselves cover things like empathy (“If you don’t know what else to do, try empathy”); paying attention (“if we don’t notice what is happening, we can do little to change it”); avoiding reward economies; and very specific tips like avoiding saying “but”, and pivoting (“the art of saying yes instead of no, and meaning the same thing.”) Much of what she talks about isn’t new but I find reminders helpful, and bringing more awareness to what you’re already doing can help it all happen more smoothly and confidently. Otherwise the book is so succinct that if a section feels like old news you can just move onto another tip for some fresh inspiration. This book comes recommended for people interested in caring for children with acceptance and awareness, but who don’t necessarily have time to read more than the odd few pages here and there.